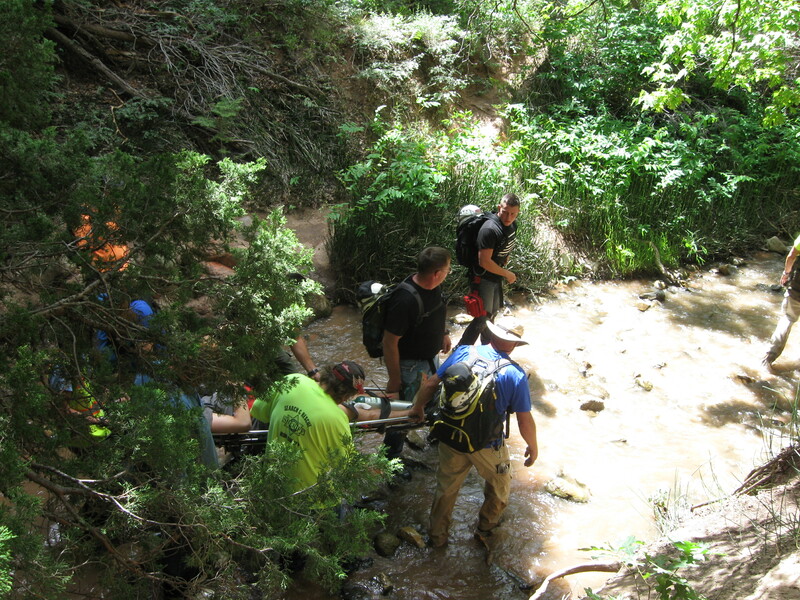 CEDAR CITY – Every year an estimated 40,000 tourists visit Kanarraville Falls, something town residents say they never wanted but now must deal with. As more tourists pour into Kanarraville Town to visit the falls, the community is struggling to keep up with the impacts. Kanarraville Mayor Galen Allred and the town council, however, say while Kanarraville isn’t responsible for inviting the tourists, it’s the town’s residents who are paying the price for them to be there. Speaking at the Iron County Commission meeting Monday, Councilman Tyler Allred blamed the rising number of tourists on several international marketing campaigns put out by various local agencies to promote the falls. The town now wants others, including the county, to step up and take some responsibility for the costs and problems resulting from the influx of visitors. “We need to know where to start and who’s going to help because we’re the only ones not advertising it and begging people to come,” Tyler Allred said. Both the Bureau of Land Management and the State and Institutional Trust Lands Administration owns property in the falls area. Tyler Allred said he felt they should also help shoulder some of the responsibility. Kanarraville recently applied for a lease of up to 40 acres of land that includes the falls from State and Institutional Trust Lands Administration, which owns the land. If approved, the agreement could allow Kanarraville officials to limit hikers on the popular Kanarraville Falls trail. The biggest threat Kanarraville faces is the possibility of E. coli contamination to its only water supply. “If we have that many people up in there and our spring gets contaminated we’re (in trouble),” Tyler Allred said. Kanarra Creek forms the falls and provides water to the town’s residents year-round. Mayor Allred and his councilman both expressed concern that with the only available toilets located at the onset of the 4.8-mile hiking trail, the high number of tourists to the area threatens the town’s water source. The commissioners asked about the possibility of putting in portable toilets farther up the trail. However, the route to the falls quickly leads into a slot canyon too narrow for a waste management truck to maneuver into to clean out the facilities, Galen Allred said. While the mayor told the county commissioners he didn’t want to close the falls he does want to find way to manage the town’s watershed. The ongoing cost of maintenance for the town’s infrastructure is another issue the Allreds shared with the commission. The hiking trail to the falls was closed for a short time two months ago to allow for repairs on a pipeline damaged by exposure to weather and hikers. The pipeline, built in 1934, feeds drinking water to the town’s 355 residents. Kanarraville covered the expense with money it collects from a $10 fee it charges for each vehicle using a town-owned parking lot located at the beginning of the trail. But with other parking available, including the parking lot of a chapel for The Church of Jesus Christ of Latter-day Saints, the town is only receiving fees for about 25 percent of all vehicles that come into the area, Tyler Allred said. There are also tour and school buses that often drop off loads of visitors at the trailhead and leave. Commissioner Dale Brinkerhoff assured the councilman the commission “feels responsible too” for the problems. Brinkerhoff and the other two commissioners agreed to talk more with the Allreds during an upcoming scheduled meeting the town officials have with the BLM and SITLA. The date and time of the meeting was not publicly made available.